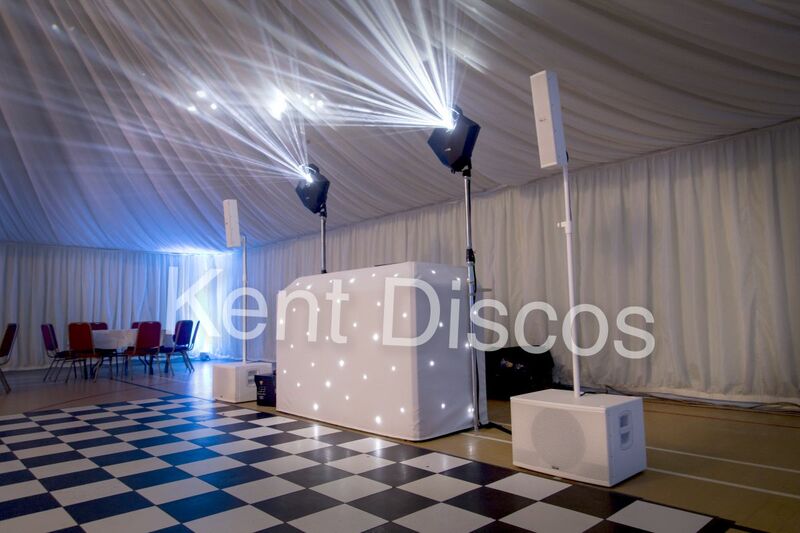 All of our disco setups are available with a white themed setup option. A white sound system and white DJ Booth starcloth are included in all setups free of charge, of course if you’d prefer the standard black then that’s not a problem either. 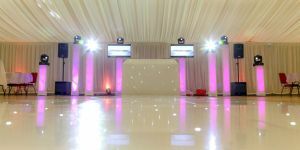 If you’ve chosen our exclusive or premium setups, white light column covers which can be internally lit to match your choice of colours or your theme colours are available at an extra cost. 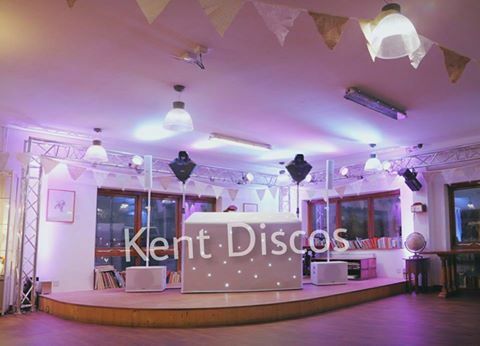 Our white disco setup is perfect for Weddings, Winter wonderland themed events, or any event with a lighter colour theme. Simply request the white setup when booking, and we’ll do the rest! 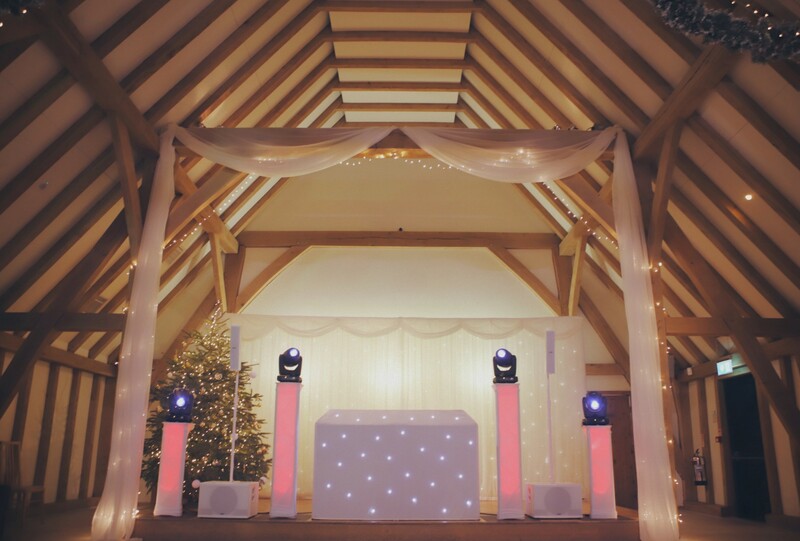 If you’d prefer just the white twinkly DJ booth or just the white lighting columns then that’s no problem either, our white setup options are available at any scale - just let us know what you’d prefer. 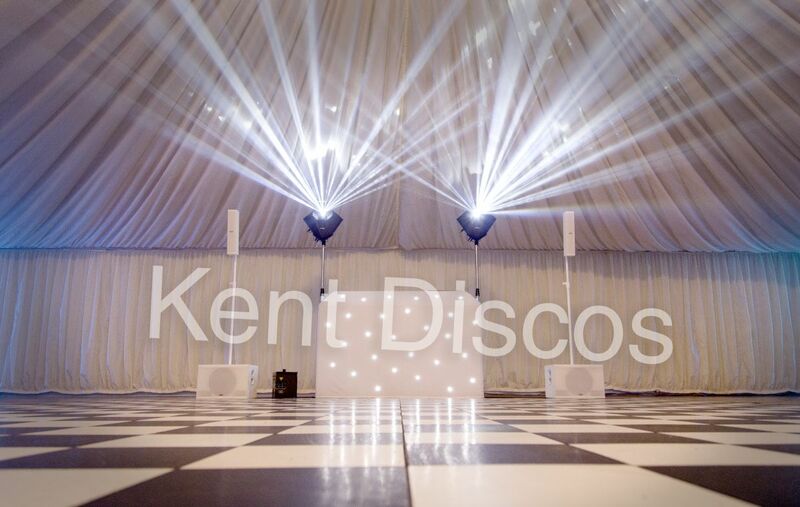 The white setup looks beautiful with the White twinkly dancefloor! As of 2017, we are proud to offer the new white sound system at no extra cost to your package. This time we’ve invested our time into listening to various systems and we are proud to welcome home the new white FBT Vertus CS1000 which is now available to add to your booking! 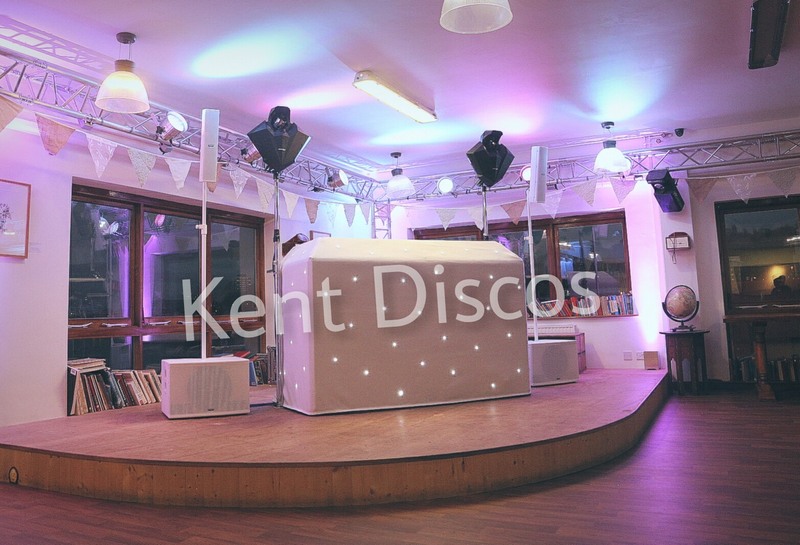 Our new white sound system is perfect for any wedding or white themed event - especially when combined with our white DJ booth as well as the white column cover option for both the Exclusive and Premium setups.